Do you have a colony of lab rats to feed? Luckily, Lab Supply has a huge selection of feeds for laboratory rats from LabDiet and TestDiet. Whether you are looking for irradiated diets, certified diets, or simple standard diets for your lab rats, we have exactly what you are looking for. Lab Supply has a number of specialized diets to make sure that your rat gets the exact nutrition you want. If you are looking for protein packed diets, breeder diets, or diets designed to have minimal variation, Lab Supply has them all. Also, did you know that we can custom order feeds for your rodents? If you don’t see a diet that meets your need on our website, be sure to contact us about building your rodent a custom feed. 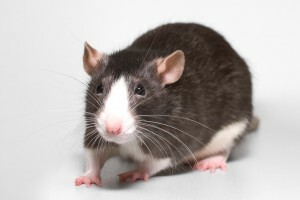 If you would like to see a selection of the lab rat feeds we offer, including a detailed description of each, then please click here to view them on our website. Here at Lab Supply, we are committed to making sure you find exactly what you are looking for. If you have any questions about the laboratory rat food that we offer, then please click here to visit our contact page. We will be more than happy to answer any questions you may have about these great rat feeds.